The Amphibian Visual System: A Multidisciplinary Approach is a compendium of articles across a broad range of disciplines within experimental biology focusing on the study of the amphibian visual system. 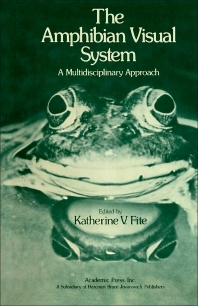 The book presents a survey of the evolutionary history and major taxonomic and ecological adaptations of amphibians; anatomic, physiological, developmental, and behavioral data relating to the amphibian visual system; description of important standards for laboratory amphibians; and the crucial problem of species identification in neurobiological research. Zoologists, experimental biologists, neurologists, and anatomists will find the text very interesting. Quantitative Analysis of the Key Stimuli "Prey" and "Enemy"